It is safe to say that my teeth were in a very bad state. So bad in fact that it was causing me issues when eating and I also felt embarrassed to smile and even hold a conversation. Something had to be done. I was recommended to the practice by my daughter who spoke very highly of the team and treatment she had received. From the very start Anmol was very patient and took time to explain all the options available to me and together we decided that dental implants would be the way forward. I began a series of appointments which spanned just over a year due to the amount of work involved and healing time. At each stage of the process I was kept fully informed of what was happening and what would happen next. The end result is fantastic and I am more than pleased with how everything has turned out. I am now no longer embarrassed to smile! Anmol- I really can't thank you and the team enough for your brilliant work and the exceptional level of care that you have shown me. Your front of house reception team, Vander and Jess are a real asset to the practice. They have a wonderful sense of humour whilst maintaining a professional, kind and caring relationship with the patient. This really helps when you have just had all your teeth taken out!! I have over the years had tremendous trouble mainly self-inflicted with my teeth. I decided to have total full jaw implants using a relatively new technique for teeth in a day which could possibly last for several years with good maintenance and care with diet. I have had many, many terrible dental experiences in the past which almost gave me a phobia of dentistry! I was recommended by another dentist to see Dr Anmol Chander for treatment. From the first visit I was made to feel relaxed and comfortable, the staff he has assembled in his practice are the epitome of customer care. I was given several options for my treatment and once I had decided on the above option a treatment plan was created for me. 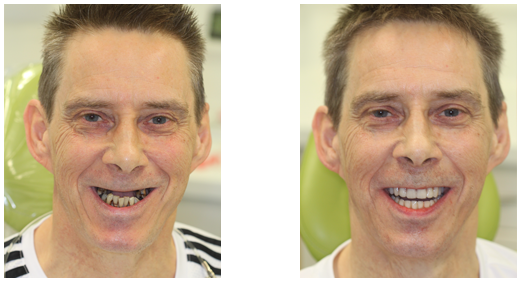 The procedure was completely painless and I was totally overwhelmed by the fantastic results achieved. 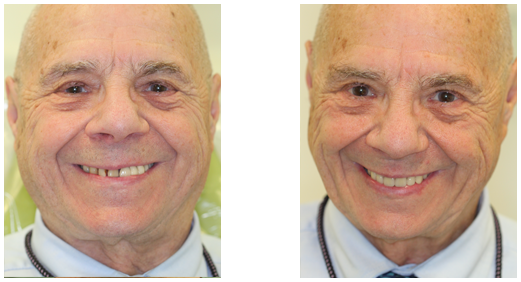 I had zero swelling after the treatment I received from amazing Dr Chander. Over the years I must have tried over 20+ dentists but this guy is world class and I am not exaggerating. The dental nurses are very knowledgeable and attentive to your needs, and make themselves available for questions and concerns days before, during and after the procedure. If you need any kind of dental work this practice has great dentists that specialise in other areas like root canal and other aspects of oral care and restoration. I am overjoyed that I finally have found a dentist that takes the worry and stress away and provides a first class service in every respect. I would recommend anyone that needs treatment of any kind to visit this practice to see for themselves that a visit to the dentist holds no fear. In June 2013 I knew I had serious problems with my teeth. 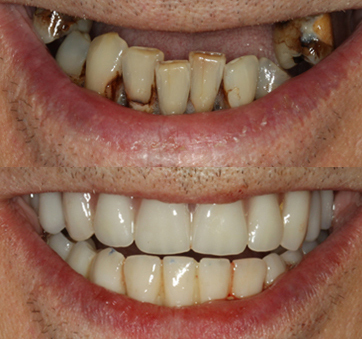 Having had several bad experiences with dentists in the past I had neglected my teeth. I am also an exceptionally nervous patient. Knowing the crunch had come my search for a kind and sensitive dentist began. I emailed various local dentist surgeries explaining my problems and my fears. Almost immediately I received a call from Kim the receptionist who was so sympathetic and kind that I had no hesitation in following her recommendation to make an appointment for the following morning with Dr. Anmol Chander. This was the beginning of my dental journey that was to take eighteen months to complete. From day one I trusted Anmol's judgement and never hesitated to follow his advice and plan of action. 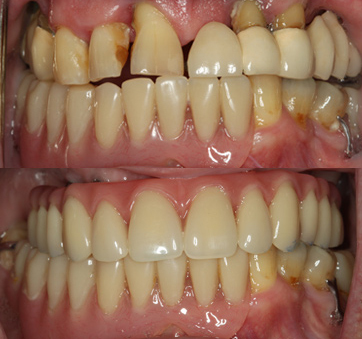 In collaboration with his colleague Bhavin Pitamber who specialises in Periodontology they managed to save most of my bottom teeth but I still required full extraction of the upper teeth to be replaced with dentures. It soon became clear after just a few weeks that dentures were not for me and after Anmol explained the options I decided on dental implants. The procedure and time plan were explained in great detail, verbally and in writing. This gave me the chance to ask questions and gave me a cooling off period should I change my mind. The written plan included the stages of treatment, the estimate of the fees spread out across the eighteen month period and alternative payment plans. Eighteen months on and I now have my 'new teeth' and with regular visits to both Anmol, Bhavin & Sam the Hygienist I now know how to look after my teeth.The receptionists and nurses complete a great team. Without their kindness and sense of humour I would never have got through this. I can honestly say I wasn't the easiest patient and there were many tears (but also much laughter) along the way. I can honestly say that eighteen months ago I was devastated at the loss of my teeth and there were times when I could not see a light at the of the tunnel. Without sounding too dramatic they have honestly given me my life back and I sincerely thank them all for that. I can't recommend this Dentist highly enough. I've always had problems with my teeth and required extensive treatment. Anmol gave me the confidence to go ahead with implants and over the course of my treatment I found all the staff involved genuinely interested and caring in the final outcome of my treatment.. Anmol was always very supportive and and professional and was always on hand with any concerns or issues I encountered over the process. I am now left with a wonderful smile again and am truly grateful to my brother for introducing me to this practice. Thank you Anmol. You are my hero! Copyright © Staines Centre of Dental Excellence. All rights reserved.